This editorial originally appeared in The Journal of Physical Chemistry A, B, C, and Letters. October, 2016 is the 120th anniversary of the founding of The Journal of Physical Chemistry (JPC). In this Virtual Issue we celebrate this occasion by recognizing the top 25 cited papers published in JPC since its first publication. JPC has a complex history. It was founded (and funded) by Wilder D. Bancroft, who was a professor at Cornell University (1895-1937). Bancroft was only 29 years old when he decided to start the journal with help from a colleague Joseph Trevor, partly motivated by the lack of English language physical chemistry journals at the time. Fig. 1 shows the Cover page, and the first page of the Table of Contents of the first Volume. Bancroft was a classical physical chemist of that era, so he was interested in electrochemistry, in thermodynamic properties and phase equilibria, and in colloids, so these topics dominated not only the first issue of JPC but the journal as a whole through the end of the Bancroft era in 1932. Bancroft’s highest cited papers were concerned with the theory of emulsification, and he was also known for research related to the Gibbs phase rule. Although Bancroft played an important role in physical chemistry in the early 1900s, he missed out on the quantum revolution, and this led to increasing criticism of his role as a JPC editor in the early 1930s. Also, Bancroft eventually ran into trouble with self-funding the Journal, so financial control of the journal transitioned from Bancroft to an organization known at the “Chemical Foundation” in 1921, and then to the American Chemical Society (ACS) in 1932. One of the requirements when the ACS took over was that Bancroft be replaced, so in 1933 Samuel C. Lind, an expert in nuclear chemistry, took over as Editor. Lind was Editor during the period 1933-1951, and during the last few years of this period (1947-51), the journal was renamed The Journal of Physical and Colloid Chemistry. The original name was returned in 1952 when William A. Noyes, Jr. took over, and this also coincided with publication of the Journal by the ACS (as other publishers had published it earlier, even though the ACS owned it). Table 1 summarizes the eight people who have served as Editor (now Editor-in-Chief). I note that a more extensive history of the journal through 1996 was provided in an article by Paul Barbara that appeared in the Centennial Issue of JPC.[P.F. Barbara, “A Brief History of Physical Chemistry in the American Chemical Society”, J. Phys. Chem. 100, 12694-700 (1996)]. Curiously, although Noyes rejuvenated JPC during his leadership in the 1950s, the Journal published fewer pages in 1978 (2853) than it did in 1930 (3692). However the importance of JPC increased dramatically after Mostafa A. El-Sayed took over in 1980, and by 1996 it had grown so large (over 20,000 pages) that it became necessary to split the journal into parts A and B. This split was mostly driven by problems with packaging the paper copy of the journal into a size that could easily be mailed. Additional growth of the journal after 1996 (to over 40,000 pages in 2006) led to a further split (again to facilitate mailing) to parts A, B and C in 2007. However the seeds of the modern era were sown in 1997 when an electronic version of JPC was created on the web, and of course now all issues of the Journal, including the historical archive prior to 1997, JPC A, B, C and JPC Letters (starting in 2010) are available electronically. Indeed few authors have probably seen the paper versions that are pictured in the cover art of this Virtual Issue. Over the years, JPC has published over 154,000 papers (roughly 50,000 in the original JPC through 1996, and since then there have been 30,000 in JPCA, 39000 in JPC B, 30,000 in JPC C and 5,000 in JPC Letters). This Virtual Issue examines the top-cited 25 papers based on the Web of Science statistics that we collected in Sept. 2016. The list of papers is given below in Table II. 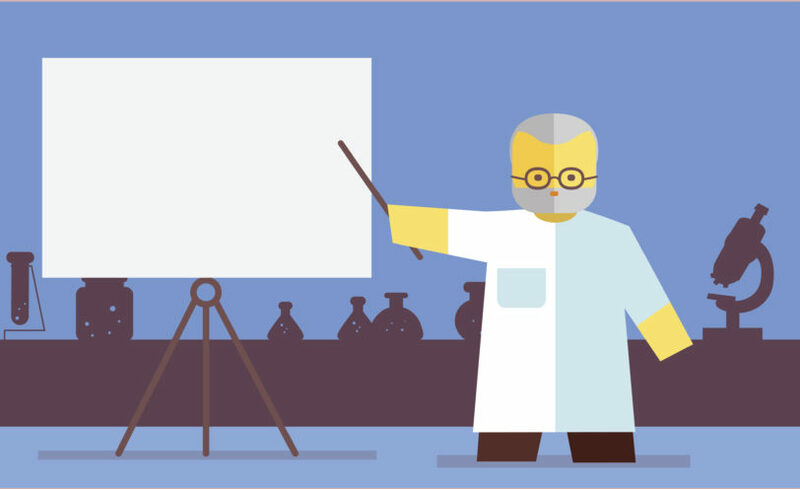 It should be acknowledged that the top cited papers may not necessarily identify the most important papers, or the most original. Indeed, only papers published during the 1960-2009 period made it to the list, so it is clear that very old papers were at a disadvantage as were papers that have appeared only recently. Nevertheless, a quick glance shows that many of the top 25 papers are classics in the field of physical chemistry, typically presenting results or methods that are used throughout the field of physical chemistry. Included in Table II is a citation count (bold face text), citation information, and then a short description of each paper. 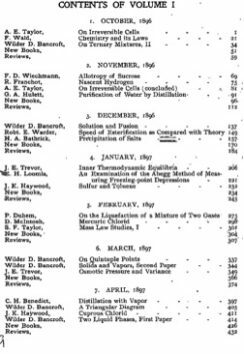 The Journal of Physical Chemistry has celebrated previous anniversaries in other ways. In 1996, the Centennial of JPC was celebrated by the publication of a Centennial Special Issue (Volume 100, Number 31, August 1, 1996). Included in this issue are review articles by well-known scientists of the era that broadly cover important topics in the field. Another Centennial was celebrated in 2008, this being the Centennial of the Physical Division of the American Chemical Society. As part of this celebration, JPC published a series of Centennial Feature Articles. I look forward to celebrating many more anniversaries in the future. 14917 Bondi, A. Van Der Waals Volumes and Radii. Journal of Physical Chemistry 1964, 68 (3), 441-451. This is where the recommended values of the van der Waals radii of the nonmetallic elements were tabulated based on X-ray diffraction data, collision cross sections, critical density and liquid state properties. A paper by the same author on the metallic elements appeared in 1966. A more recent tabulation that provides results for all the main group elements was published in 2009 by M. Mantina, A. C. Chamberlin, R. Valero, C. J. Cramer and D. G. Truhlar, J. Phys. Chem. A 113, 5806-12 (2009). 9034 Stephens, P. J.; Devlin, F. J.; Chabalowski, C. F.; Frisch, M. J. Ab-Initio Calculation of Vibrational Absorption and Circular-Dichroism Spectra Using Density-Functional Force-Fields. Journal of Physical Chemistry 1994, 98 (45), 11623-11627. This demonstrated the usefulness of the B3LYP method for calculating vibrational spectra. 7352 MacKerell, A. D.; Bashford, D.; Bellott, M.; Dunbrack, R. L.; Evanseck, J. D.; Field, M. J.; Fischer, S.; Gao, J.; Guo, H.; Ha, S.; Joseph-McCarthy, D.; Kuchnir, L.; Kuczera, K.; Lau, F. T. K.; Mattos, C.; Michnick, S.; Ngo, T.; Nguyen, D. T.; Prodhom, B.; Reiher, W. E.; Roux, B.; Schlenkrich, M.; Smith, J. C.; Stote, R.; Straub, J.; Watanabe, M.; Wiorkiewicz-Kuczera, J.; Yin, D.; Karplus, M. All-Atom Empirical Potential for Molecular Modeling and Dynamics Studies of Proteins. Journal of Physical Chemistry B 1998, 102 (18), 3586-3616. This was the initial publication of the CHARMM force field. 5942 Berendsen, H. J. C.; Grigera, J. R.; Straatsma, T. P. The Missing Term in Effective Pair Potentials. Journal of Physical Chemistry 1987, 91 (24), 6269-6271. This paper presented an improved version of the SPC potential for water (and more generally for other molecules) based on including polarization self-energy effects. 5507 Scott, A. P.; Radom, L. Harmonic Vibrational Frequencies: An Evaluation of Hartree-Fock, Moller-Plesset, Quadratic Configuration Interaction, Density Functional Theory, and Semiempirical Scale Factors. Journal of Physical Chemistry 1996, 100 (41), 16502-16513. This presents scale factors for correcting vibrational frequencies obtained from a wide variety of electronic structure methods to match experimental data. 4751 Kelly, K. L.; Coronado, E.; Zhao, L. L.; Schatz, G. C. The Optical Properties of Metal Nanoparticles: The Influence of Size, Shape, and Dielectric Environment. Journal of Physical Chemistry B 2003, 107 (3), 668-677. This was a review of the optical properties of plasmonic nanoparticles, with an emphasis on simple models and calculations that are of relevance to extinction and surface enhanced Raman measurements. 3956 Barone, V.; Cossi, M. Quantum Calculation of Molecular Energies and Energy Gradients in Solution by a Conductor Solvent Model. Journal of Physical Chemistry A 1998, 102 (11), 1995-2001. This presented the COSMO model for describing solvation effects in electronic structure calculations. 3930 Demas, J. N.; Crosby, G. A. Measurement of Photoluminescence Quantum Yields – A Review. Journal of Physical Chemistry 1971, 75 (8), 991-1024. This reviewed experimental methods for measuring photoluminescence quantum yields. 3861 Gillespie, D. T. Exact Stochastic Simulation of Coupled Chemical-Reactions. Journal of Physical Chemistry 1977, 81 (25), 2340-2361. This provided a stochastic simuluation method for numerically simulating spatially homogeneous chemical systems with coupled rate processes. 3850 Gonzalez, C.; Schlegel, H. B. Reaction-Path Following in Mass-Weighted Internal Coordinates. Journal of Physical Chemistry 1990, 94 (14), 5523-5527. Here a very commonly used algorithm for following reaction paths downhill in electronic structure calculations was presented. 3163 Mayo, S. L.; Olafson, B. D.; Goddard, W. A. Dreiding – a Generic Force-Field for Molecular Simulations. Journal of Physical Chemistry 1990, 94 (26), 8897-8909. This describes the commonly used Dreiding force field for molecular simulations. 2982 Bayly, C. I.; Cieplak, P.; Cornell, W. D.; Kollman, P. A. A Well-Behaved Electrostatic Potential Based Method Using Charge Restraints for Deriving Atomic Charges – the RESP Model. Journal of Physical Chemistry 1993, 97 (40), 10269-10280. This paper describes the RESP (restrained electrostatic potential) approach to the determination of effective atomic charges based on electronic structure calculations. 2902 Lee, P. C.; Meisel, D. Adsorption and Surface-Enhanced Raman of Dyes on Silver and Gold Sols. Journal of Physical Chemistry 1982, 86 (17), 3391-3395. This was an early paper concerned with SERS measurements for molecules adsorbed onto silver and gold colloids, including discussions of the effects of aggregation. 2698 Dabbousi, B. O.; RodriguezViejo, J.; Mikulec, F. V.; Heine, J. R.; Mattoussi, H.; Ober, R.; Jensen, K. F.; Bawendi, M. G. (CdSe)ZnS Core-Shell Quantum Dots: Synthesis and Characterization of a Size Series of Highly Luminescent Nanocrystallites. Journal of Physical Chemistry B 1997, 101 (46), 9463-9475. This was an early paper in which the synthesis of core-shell quantum dots (CdSe core, ZnS shell) was described, along with measurements of optical absorption and photoluminescence. 2640 Lambrecht, R. M.; Hahn, H. K. J.; Rack, E. P. Radiative Neutron Capture Organic Yields as an Indication of the State of Aggregation of ICl and I2 in C6-Hydrocarbon Matrices at 77.Deg.K. The Journal of Physical Chemistry 1969, 73 (8), 2779-2780. This nuclear chemistry paper demonstrated that neutron capture can be used to determine the extent of aggregation of ICl and I2 in hydrocarbon matrices. 2567 Alivisatos, A. P. Perspectives on the Physical Chemistry of Semiconductor Nanocrystals. Journal of Physical Chemistry 1996, 100 (31), 13226-13239. This paper, which appeared in the Centennial Issue of JPC, reviewed the field of semiconductor nanocrystals (quantum dots). 2520 Pitzer, K. S. Thermodynamics of Electrolytes .1. Theoretical Basis and General Equations. Journal of Physical Chemistry 1973, 77 (2), 268-277. This is the first of Pitzer’s famous papers on the thermodynamic properties of electrolytes, including a detailed analysis of the Debye-Huckel model and improvements thereto. 2432 Choi, W. Y.; Termin, A.; Hoffmann, M. R. The Role of Metal-Ion Dopants in Quantum-Sized TiO2 – Correlation between Photoreactivity and Charge-Carrier Recombination Dynamics. Journal of Physical Chemistry 1994, 98 (51), 13669-13679. Here the role of transition metal dopants in quantum dot TiO2 was studied with emphasis on the connection between photoreactivity and charge carrier recombination, including the effect of dopant concentration. 2400 Glasoe, P. K.; Long, F. A. Use of Glass Electrodes to Measure Acidities in Deuterium Oxide. Journal of Physical Chemistry 1960, 64 (1), 188-190. This demonstrated the use of glass electrodes to measure the pH of water and D2O solutions, and is therefore of interest in studies of isotope effects in solution equilibria. 2348 Link, S.; El-Sayed, M. A. Spectral Properties and Relaxation Dynamics of Surface Plasmon Electronic Oscillations in Gold and Silver Nanodots and Nanorods. Journal of Physical Chemistry B 1999, 103 (40), 8410-8426. This Feature Article described early plasmonics experiments with femtosecond lasers, including studies of heating effects. 2177 Brus, L. Electronic Wave-Functions in Semiconductor Clusters – Experiment and Theory. Journal of Physical Chemistry 1986, 90 (12), 2555-2560. This Feature Article reviewed experimental studies of quantum size effects in semiconductor nanocrystals. 2050 Marenich, A. V.; Cramer, C. J.; Truhlar, D. G. Universal Solvation Model Based on Solute Electron Density and on a Continuum Model of the Solvent Defined by the Bulk Dielectric Constant and Atomic Surface Tensions. Journal of Physical Chemistry B 2009, 113 (18), 6378-6396. The paper presents the SMD continuum solvation model and its parameters and validation. 1996 Berger, C.; Song, Z. M.; Li, T. B.; Li, X. B.; Ogbazghi, A. Y.; Feng, R.; Dai, Z. T.; Marchenkov, A. N.; Conrad, E. H.; First, P. N.; de Heer, W. A. Ultrathin Epitaxial Graphite: 2d Electron Gas Properties and a Route toward Graphene-Based Nanoelectronics. Journal of Physical Chemistry B 2004, 108 (52), 19912-19916. This was one of the early graphene papers, where graphene films were prepared and electrical properties were determined. 1992 Sun, H. Compass: An Ab Initio Force-Field Optimized for Condensed-Phase Applications – Overview with Details on Alkane and Benzene Compounds. Journal of Physical Chemistry B 1998, 102 (38), 7338-7364. This paper presented the COMPASS force field including details of the parametrization and validation. 1938 Foresman, J. B.; Head-Gordon, M.; Pople, J. A.; Frisch, M. J. Toward a Systematic Molecular-Orbital Theory for Excited-States. Journal of Physical Chemistry 1992, 96 (1), 135-149. Here the configuration interaction-singles method for determining molecular excited states was reviewed, including detailed comparisons with experiment. * Citations source: Web of Science Core Collection, Thomson Reuters.